Installing solar panels can increase the value of your home while decreasing overall energy costs. Due to energy tax credits, low interest rates and a dramatic decrease in the cost of solar panels over the past decade, solar power is more affordable than ever before. Follow these steps to determine if solar power is right for you. Continue reading. How Much does an Average Solar-Panel System Cost?, by Vikram Aggarwal, EnergySage. Published by Mother Earth News. 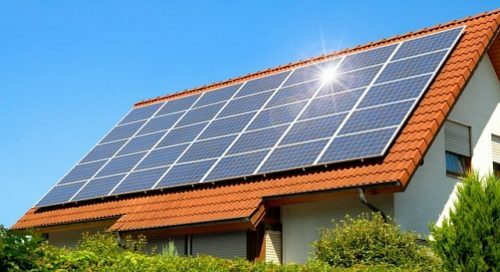 If you’re shopping for a solar energy system, one of your first questions is probably, “how much will it cost?” Prices depend on the size of your system, the type of equipment you choose, and the state that you live in, but reviewing prices for a 5 kilowatt (kW) system is a great place to start – that’s the average system size in the United States. Learn more about how much a 5kW solar system costs, how much electricity a 5kW system will produce, and the smartest way to shop for solar. The average cost of a 5-kilowatt system (twenty 250-watt panels), with incentives factored in, is between $9,875 and $12,250. Incentives include the 30% federal Solar Investment Tax Credit (ITC), and Lincoln Electric System’s capacity payments for south- and west-facing solar systems. 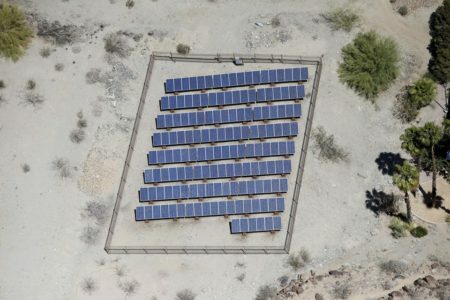 A grant from the USDA’s Rural Energy for America Program (REAP), available to farmers and rural small businesses, would provide an additional 25%, reducing the cost of a 5-kilowatt system to $7,875. This entry was posted in Installation, NewsBlog, Solar Energy Education and tagged EnergySage, Lawrence Journal-World, Mother Earth News, Nebraskans for Solar, steps to installing a solar PV system on July 30, 2016 by Helen Deffenbacher. 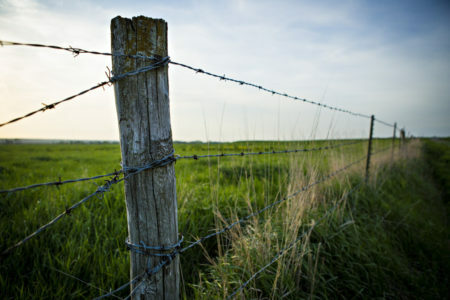 The USDA announced another round of awards for the Rural Energy for America Program (REAP) in mid-July, bringing benefits to 56 states and territories and to a wide range of agricultural sectors. REAP continues to help reduce costs, protect and increase jobs and to produce homegrown clean energy . . . Solar energy in rural settings continues to grow strongly with REAP with 337 awards (including hybrid technology projects) for $5 million. These projects are very diverse geographically, covering nearly all the states. They are also diverse in size, ranging from about $3,000 to $250,000. The average solar award was $15,000 . . . The award list can be found here. More award announcements will be issued in coming months. Read the entire Farm Energy post here. 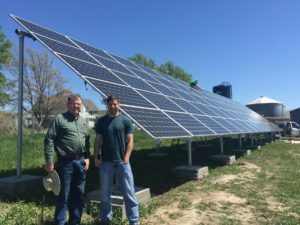 At a time when Midwest rural economies are continuing to decline, solar energy projects funded in-part by REAP grants, along with solar and wind energy development in general, provide a means to reverse this trend, contributing to the economic strength and well being of our communities. This entry was posted in Energy Conservation, Nebraska / Midwest News, NewsBlog and tagged energy efficiency, Farm Energy.Org, GC Resolve, Nebraska Energy Office low-interest loan program for solar installations, Omaha World Herald, Rural Energy for America Program (REAP) grants, solar energy installations on Nebraska farms on July 29, 2016 by Helen Deffenbacher. 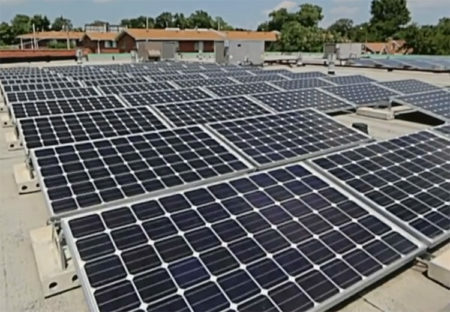 The strong clean energy leadership of the New Northside Missionary Baptist Church in St. Louis is the focus of a video released by the Sierra Club for Netroots Nation 2016, which took place last week in St. Louis. The conference [draws] thousands of bloggers, newsmakers, social justice advocates, labor and organizational leaders, grassroots organizers and online activists from across the country . . . “I wanted this church to be a leader in the African-American community with regard to practicing sustainable stewardship by using the resources that we have,” said Rev. Rodrick Burton, pastor at New Northside Missionary Baptist Church in St. Louis. Read more. This entry was posted in NewsBlog and tagged Netroots Nation 2016, Northside Missionary Baptist Church in St. Louis, religious leadership on climate change / renewable energy, Reverend Rodrick Burton, Sierra Club, The St. Louis American on July 29, 2016 by Helen Deffenbacher. Property-Assessed Clean Energy funding, an increasingly popular tool for financing commercial energy upgrades, may be coming to agriculture. On Thursday morning, Show-Me PACE announced the completion of a comprehensive energy overhaul at a processor of free-range heritage hogs in southwest Missouri. The $4 million project is 10 times the size of the next-largest agricultural PACE project in the nation to date, according to PACENation, which tracks projects across the country. Click here to read more. YouTube Video: PACE in 90 seconds: What is PACE financing? Nebraska has PACE-enabling legislation but no current financing programs. This entry was posted in Financing, Nebraska / Midwest News, NewsBlog and tagged Karen Uhlenhuth, Midwest Energy News, Nebraskans for Solar, Property Assessed Clean Energy (PACE) Financing, YouTube Video: What is PACE financing? on July 29, 2016 by Helen Deffenbacher. The American Wind Energy Association (AWEA) published the US Wind Industry Second Quarter 2016 Market Report this week, revealing continuing strong growth in the industry. During the second quarter, a total of 169 wind turbines were installed over four states, with Texas installing 200 MW, followed by Kansas with 72 MW, Nebraska with 36 MW, and one turbine installed in Iowa. ”There’s never been a better time to buy American wind energy,” said Tom Kiernan, CEO of AWEA. 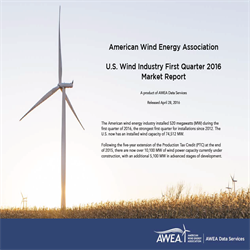 U.S. Wind Industry Second Quarter 2016 Market Report, American Wind Energy Association. Click here to download the non-member version of the report. This entry was posted in Nebraska / Midwest News, NewsBlog and tagged American Wind Energy Association, Production Tax Credit (PTC), renewable energy development in the U.S., The Gazette, Tom Kiernan - American Wind Energy Association CEO, U.S. wind energy development, Utility Dive on July 28, 2016 by Helen Deffenbacher. At a time when investors are skittish over market volatility, they couldn’t be more bullish on the economic potential of renewables, in particular a form of clean energy financing known as Property Assessed Clean Energy (PACE). PACE allows residential and commercial property owners to finance 100 percent of over 60 categories of renewable energy, energy efficiency and water conservation improvements with no money down, no FICO score requirements or encumbrance of personal or business credit. Read more here. 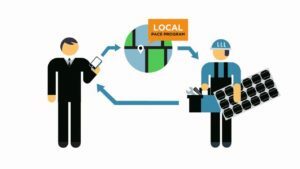 PACENation is an association of people and organizations who are joined in their support for PACE financing. Members may have different individual goals, but they share a desire to create energy and resource efficient communities. This entry was posted in Financing, Nebraska / Midwest News, NewsBlog and tagged energy efficiency & renewable energy development in Nebraska, Nebraskans for Solar, PACE financing, PACENation, Renewable Energy World on July 26, 2016 by Helen Deffenbacher. 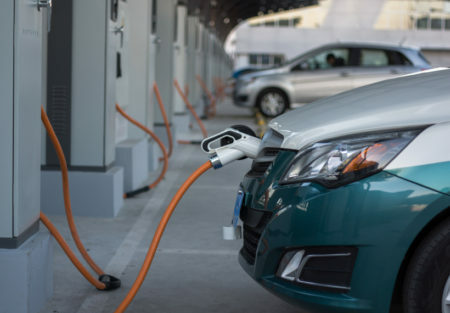 The White House has unveiled a plan to accelerate the adoption of electric vehicles, including making available up to $4.5 billion in loan guarantees and inviting applications to support the commercial-scale deployment of charging infrastructure. The plan also calls for identifying zero emission and alternative fuel corridors, and studying where a national network of electric vehicle fast charging stations should be located. President Obama’s plan also calls for state, county and municipal governments to partner with the federal government to procure electric vehicle fleets at a discounted value. Continue reading. The annual “National Drive Electric Week” is coming up in September. Click here to learn more. This entry was posted in NewsBlog and tagged Electric Vehicles, National Drive Electric Week 2016, Nebraska Public Radio (NPR), Nebraskans for Solar, PV Tech, Renewable Energy World, SunShot Initiative Blog, Utility Dive, Wall Street Journal on July 25, 2016 by Helen Deffenbacher. 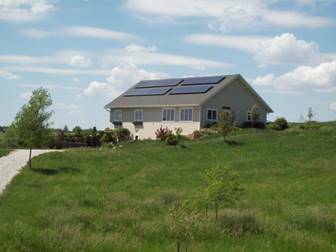 Please join Nebraskans for Solar this Wednesday, July 27th from 6:30 to 8:30 p.m. for the tour! 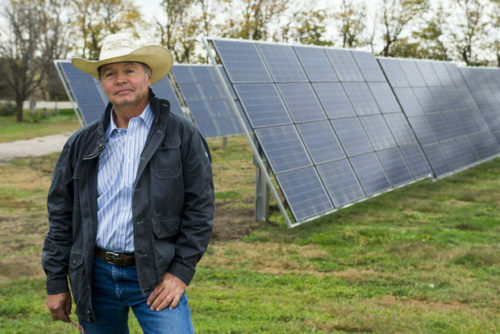 This entry was posted in Nebraska / Midwest News, NewsBlog, Solar Energy Education and tagged Dageforde net-zero solar energy home, Darren Dageforde - University of Nebraska Medical Center, educational solar energy events in Nebraska, Nebraskans for Solar, solar energy education on July 23, 2016 by Helen Deffenbacher.